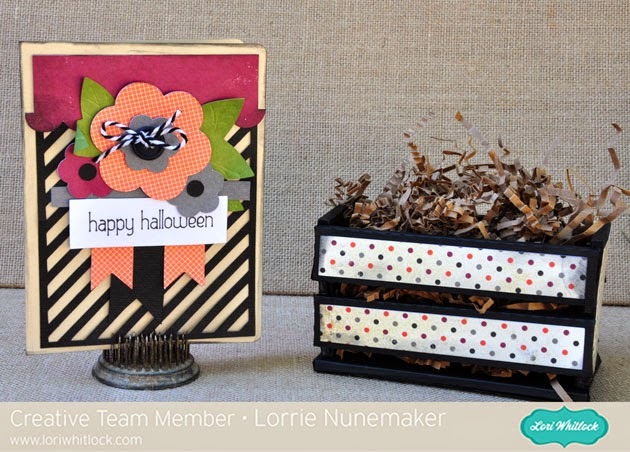 Lorrie's Story: Who Says Halloween has to be spooky? I've got a new post up over at Lori Whitlock's blog. Today I'm featuring a non-spooky Halloween Gift set. Who ever said Halloween had to be filled with witches, ghosts and goblins? 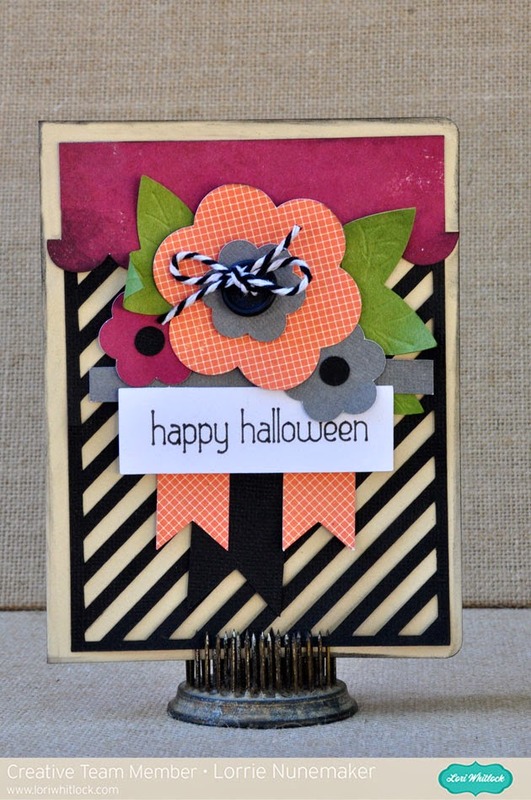 I turned this simple everyday occasion card and crate into a Halloween set simply by changing the papers. 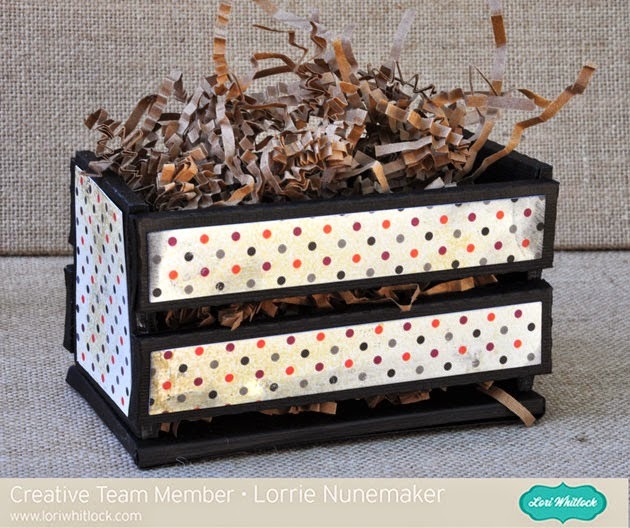 I cut the Lori Whitlock Wooden Crate Svg file and the Kolette Hall Floral and Flag Card with my Cricut Explore. Isn't this wooden crate the cutest? It's the perfect size for a bag of candy corn or other Halloween treat.